A new trailer has been unveiled for 'Fantastic Beasts: The Crimes of Grindelwald.' 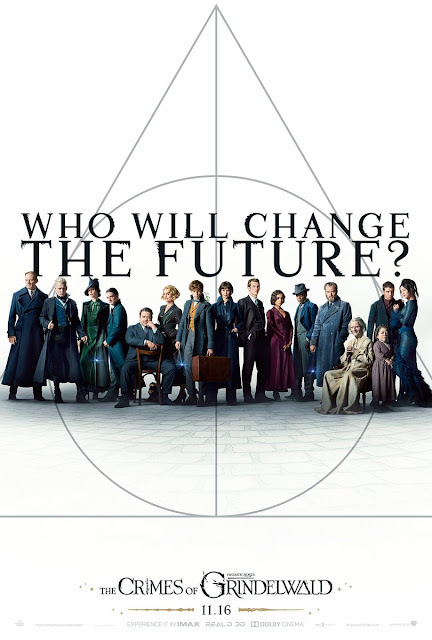 Directed once again by David Yates, from a screenplay by J.K. Rowling the film stars Eddie Redmayne, Katherine Waterston, Dan Fogler, Alison Sudol, Ezra Miller, Claudia Kim, Zoe Kravitz, Callum Turner, with Jude Law as Dumbledore and Johnny Depp as Grindelwald. 'Fantastic Beasts: The Crimes of Grindelwald' opens in theatres November 16, 2018.